Everything is in one place with Life­Topix™ – a complete app for superior productivity and personal organization. Whether you are a parent, professional, or a productivity hero, it is simple enough for your daily lists, notes, tasks, and more — and powerful enough for your most challenging home and work projects. Which Apple products support FaceTime? FaceTime is included with OS X Lion. Mac OS X v10.6 users can download FaceTime from the Mac App Store. What information do I need to call someone using FaceTime? When calling someone using an iPhone 4 or later: Try the phone number of the person you are calling first. If the person has registered an email with FaceTime, you can use that as well. When calling someone using an iPad 2 or later, iPod touch (4th generation), or FaceTime for Mac: Use the email address designated for FaceTime of the person you are calling. On iPad, iPod touch, and FaceTime for Mac, you need to add a person as a contact using the FaceTime or Contacts app before you can call them. How do I make a FaceTime call? Phone: While on a phone call, you can tap the FaceTime icon to invite the other party to a FaceTime call. Contacts: Tap the FaceTime icon to place a FaceTime call to the contact you are viewing. FaceTime: Place a FaceTime call using your contacts list. Note: There is no FaceTime app on iPhone. Use the Phone app instead. 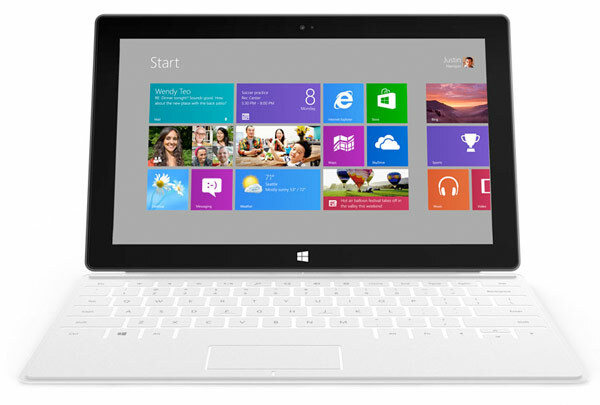 Microsoft didn’t just announce one Surface tablet today — it’s announced one for each of the main varieties of Windows. That includes the Surface for Windows 8 Pro, which is slightly larger and decidedly more Intel-based than its ARM-fueled counterpart for Windows RT. In addition to the more full-fledged OS, it packs a larger 42 W-h battery, an Ivy Bridge Core i5 processor (at least in the model on display today), USB 3.0 ports instead of 2.0, and your choice of 64GB or 128GB of storage (double the standard offerings of the RT Surface). You’ll also get a higher 1080p resolution from the 10.6-inch ClearType display, but it comes wrapped in a package that’s 13.5 mm thick and weighs 903 grams (compared to just 9.3 mm and 676 grams for the RT). That’s apparently not big enough to disqualify it from Microsoft’s new keyboard-laden covers, though, and it even gets another accessory of its own: a pen with “Palm Block.” As for pricing and availability, Microsoft is only going as far to say that it will be “on par with Ultrabook-class PCs” and available about three months after the Windows 8 launch (when the RT model will be available). I got the Samsung Galaxy a while back and wondered how i would protect my new Android device from malware. I heard that Android did have vulnerabilities and that its very important taht your protect your Smartphone like you protect your computer or laptop. Here are 3 free security apps that you can download and try. If you like them and feel comfortable with the app – you can upgrade to the Premium verson. What Kind of Apps Do Windows Phone Users Download?